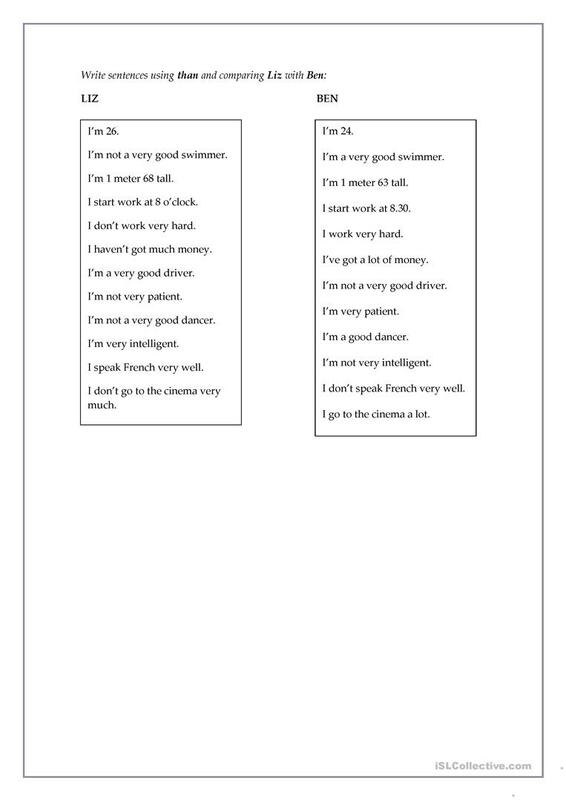 Three pages with different exersices to practice comparatives. This downloadable teaching material is a great resource for high school students and elementary school students at Elementary (A1) and Pre-intermediate (A2) level. 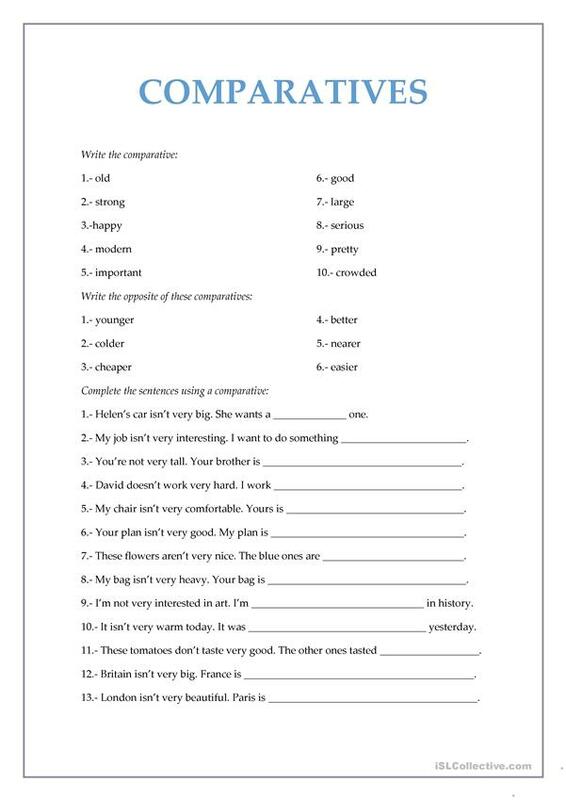 It is a useful material for consolidating Comparison (comparative and superlative) in English. Anachuche is from/lives in Spain and has been a member of iSLCollective since 2011-02-02 14:16:17. Anachuche last logged in on 2016-05-10 16:06:56, and has shared 2 resources on iSLCollective so far.